XXR 513... 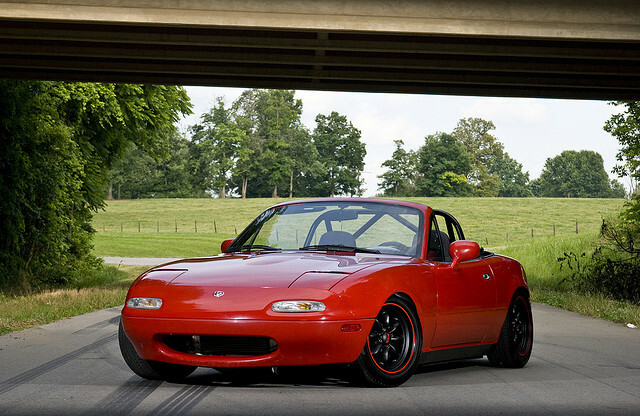 Sort of want - Miata Turbo Forum - Boost cars, acquire cats. Should I be stoned and have hot oil poured on me for wanting these in black with the red lip stripe? 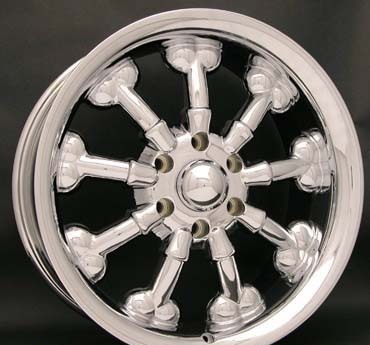 I love my 14" RPF1's, but I love the look of the 513, and would like having an 8" wheel for some 225's. My only worry is with most cheap wheels, comes weight. Going from one of the lightest wheels for the Miata, to something probably 6lb+ heavier each. Not sure of the weight though. I just love that!!! I've always had a thing for black wheels on a red car, and the red lip makes it better still. Anybody else running these cheapies? Are those painted? 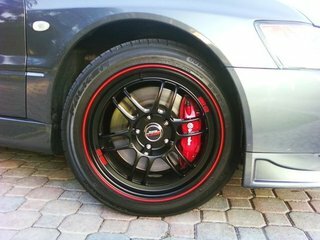 My car came with a set of red lipped XXR's (anodized) and they looked pink. And that scares me. I'd be pissed if I were to get them and they were pink. To replace some RPF1's with that crap would be blindingly idiotic and doing yourself a huge disservice. And I think they look like crap. I can't stand the 513's. I guess they're supposed to be their rip offs of watanabes, but they really didn't do a good job. Paint RPF1s black and call it money saved. Please believe me when I tell you I can feel 3lbs per corner immediately when I switch my wheels back and forth. The RPF1's in black and red are amazing looking! I have pretty sticky rubber already. Star Spec, in 195/60. And I do like 14's over 15's, so that would be another negative. I just like the black with red lip. I do really like those F1's with the red lip. And yeah Steve, I can feel the weight too. When I was going between my stockers and my old Heliums, I could feel the few extra pounds. Maybe I'll just dip the wheels and see if I'm happy with the black look. If not, peel it off and go back to the current look. I wish they made the Star Specs in 205/55/14. And it's not that I'm not happy with my current setup. 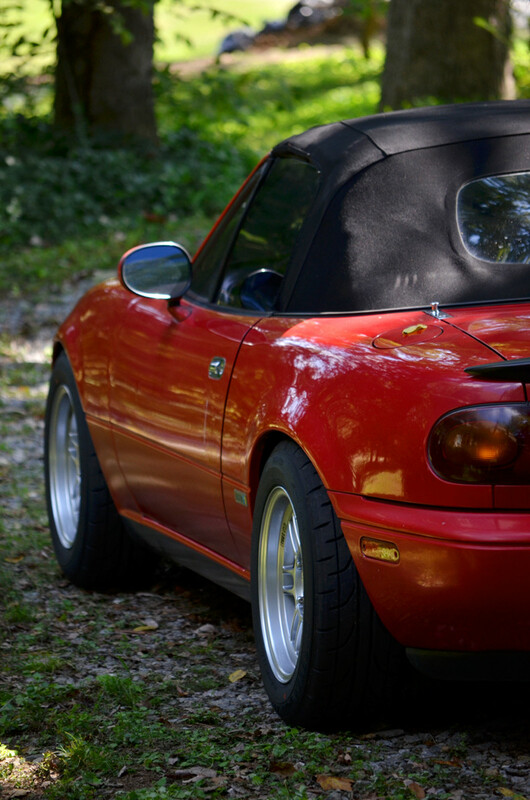 I think my 14x7 RPF1's have the perfect offset and look just right on a car the size of the Miata. I just wish I had a little more width. 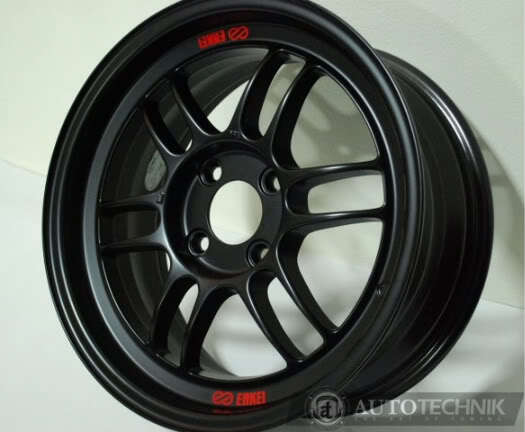 Maybe a 14x7.5 RPF1 with a 205/55 tire would be my dream setup for street. I do need to hurry up and make myself some spacers to raise it 1/2" or so. It's just a bit too low to be practical. Adjustable suspension will come later.